A brief history of the Remount Depot can be found here. In a NATIONAL EMERGENCY a Large Number of Grooms at Arborfield Remount Depôt, Near Reading. Wages £1 1s (twenty one shillings) a week. For the present Tent Accommodation will be provided and a Mess will be instituted at the Depôt. If foodstuffs advance in price, the wage will be raised. Only Men of Good Character need apply; they must bring with them certificates to this effect from their last place and all applications should be made in person only to Major Badcock at above address. On October 27th 1917, it was reported under 'WOKINGHAM' that the Barkham Road Recreation Ground had been taken over by the military authorities as a forage depôt. 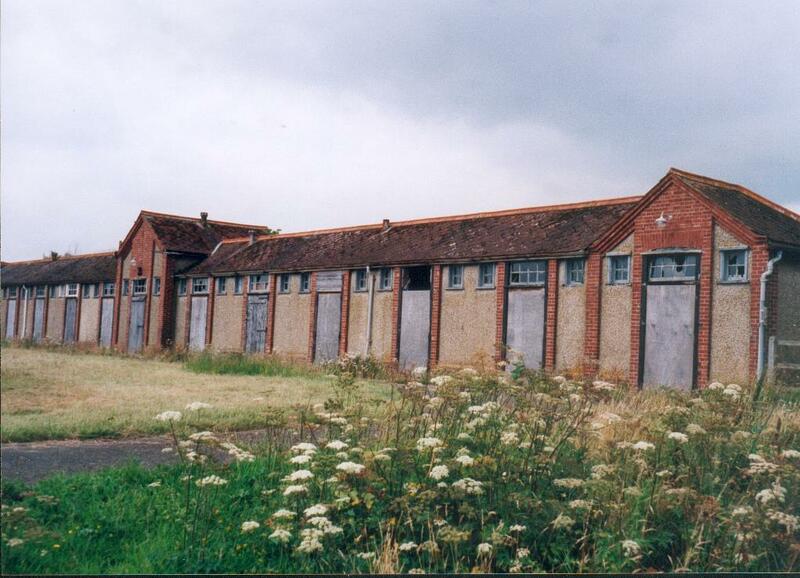 In late 1918, a massive Motor Repair Depot was being built at Slough. Six weeks after the Armistice, some new contractors accelerated the rate of building, despite calls for such a 'White Elephant' to be abandoned and to revert to fields. Thousands of vehicles eventually ended up on the site, which was later sold off and evolved into the Slough Trading Estate. Read about the controversy by clicking here. and Major Badcock offers liberal terms to suitable men’. Point-to-Point races, which had featured prominently in the calendar in Spring 1914, were apparently suspended at the Remount Depot for the duration of the war. Notices appeared for other venues over the years, but none for Arborfield. The Remount Depot was the location for a story on 10th April 1915. An Inquest heard that Frank Williams, a dresser of sick horses, had been kicked in the stomach on 30th March. The paddock foreman, Frederick William Slade, gave evidence that he saw Frank fall to the ground; he said that Frank had been at the depot since August. Other witnesses were the camp orderly Frederick Griffin, the hospital orderly John Batchelor and the Medical Officer, Dr Maberley of Eversley, who described the victim’s decline and death a day later. The Depot (or ‘Remount Department’) announced in July 1915 that the best of its Army Horses were sold at Aldridge’s in St. Martin’s Lane for between 33 and 35 Guineas. Why would the Depot sell its best horses? This might seem strange, but the Army was not in the business of breeding horses; instead, it bought them in from dealers in Britain and Ireland when they were ready for war service. These dealers would have been willing to buy back from the Army the best breeding stock. The match was reported in detail the following Saturday. Unfortunately, they lost 8-0 to Caversham. The Rector, Joshua Anderson, worked with the Church of England Temperance Society to provide a recreation hut at the Remount Depot. When the Hut was approaching completion, an advert appeared in the 'Mercury' as shown on the right. The C.E.T.S. Recreation Hut was opened on 14th December 1915, as described here. The Christmas Day 1915 issue contained an extract from an article in the ‘Live Stock Journal Almanack’ under the heading ‘Where are the horses?’ by Colonel Ricardo. This was a plea to rely more heavily on horses than on mechanisation. To read the article, click here. In August 1916 the Remount Depot held a sports day, involving soldiers from the wider area and the villagers - click here for a detailed report, including many names. October 1916 saw a Court case for some horses reported stolen from the Remount Depot, as detailed here. The 1917 Sports Day expanded into a vegetable show, singing competitions, a concert, a baby show, and side-shows, as reported here. The sports were keenly contested, not least by an international Chelsea footballer, Sergeant Steer., while another sportsman, "Tiny" Barnes the jockey, performed at the concert. The Bishop of Oxford held a confirmation at Arborfield Parish Church on Monday afternoon, 4th March 1918. This is a very strange time for such an event, but it could have been connected with the fact that no fewer than seven of Arborfield's 29 candidates were soldiers from the Remount Depot. The Bishop then visited the Recreation Hut in the evening. To read the article, click here. The 1918 Sports Day built on the previous year, adding a Rabbit and Goat Show, as described here. The August 24th issue reported an Aeroplane accident at Arborfield Remount Depot. Reading has proved one of the best centres for disposing of surplus Army horses ever since the cessation of hostilities. Some 450 heavy draught horses passed under the auctioneer’s hand, and the approximate average price given for them was 60 guineas [£63]. About 800 light vanners averaged out at 42 guineas., and 1,000 riders made an average price of 30 guineas. Meanwhile, at the other end of the County, evidence of the mechanisation of the Army was provided by the continued building of the Slough Motor Depot, considered by some as a 'White Elephant'. There was another horse theft on October 22nd 1919, as described here.